One of the Braamfontein res jackets for sale at a store in Lagos, downtown Johannesburg. Pic: Wits Vuvuzela. A STORE in the “Lagos” section of Braamfontein is selling Wits merchandise without the university’s permission. Wits Vuvuzela found the goods at a store on the corner of Simmonds and Jorissen streets, in an area known as “Lagos” due to the large number of Nigerian merchants. The reporter was accompanied by a fellow student posing as her boyfriend. 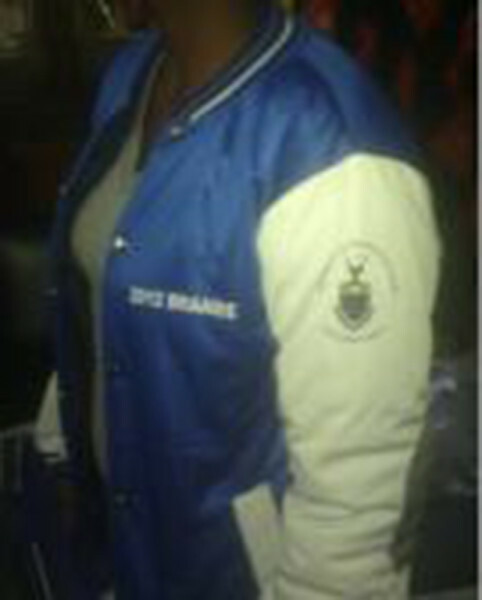 The jackets had names of various people on them, written in ink, with the one reading “S’khu chairperson”. The vendor told the Wits Vuvuzela reporter they had made 150 jackets for Wits. He added that he could make more of the jackets for us, if we wanted them. When asked if the names could be removed the salesman said this was no problem, all he had to do was wipe it off with some remover. Wits spokesperson Shirona Patel said Wits branded merchandise could only be sold at the shop in the concourse of Senate House. “Wits does not have not franchises which are allowed to sell Wits merchandise,” Patel said. Wits Vuvuzela traced the name “S’khu” back to a former Braamfontein Centre residence chairperson, Skhulile Ngcobo. Ngcobo said they had contracted a designer to make the jackets for them. When the first batch had come out, the jackets were incorrectly designed, so they asked for the jackets to be re-done. When they received the new jackets, they were under the impression that the first batch of jackets had then been discarded. While the jackets were being sold for R400.00, the salesman offered a discount, saying he could sell the reporter three jackets for R380.00 each. The man urged the reporter and her “boyfriend” to come back and buy the jackets as they were selling fast. He suggested that they leave a deposit, so that he could hold them on their behalf.